21 Savage Applied For A “U “Visa Granted To Non Citizen Victims Of Crime Who Intend To Cooperate W/ U.S. Authorities To Help Arrest Criminals Prior To His Arrest! The details on 21 Savage’s deportation case with I.C.E. are slowly rolling out, and according to Savage’s lawyer he never hid his immigration status prior to his arrest. He was pulled over during a stop intended for his cousin Young Nudy. In a statement, 21 Savage’s lawyer Kuck claims the platinum-selling artist’s arrest was “based upon incorrect information about prior criminal charges.” Savage was arrested in 2014 for drug related charges, but his record was expunged. 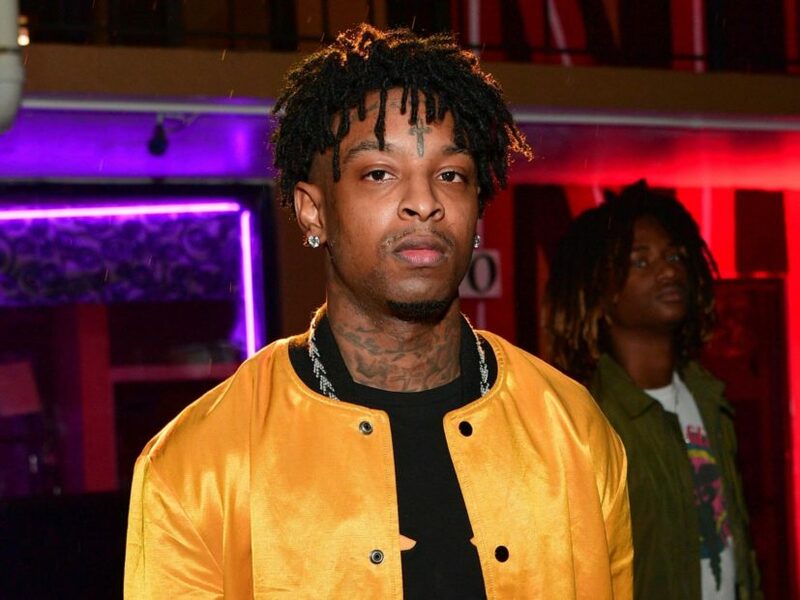 His lawyer Kuck reports 21 Savage who’s legal name is Sha Yaa Bin Abraham-Joseph was in the process of obtaining a U visa . The vise would allow him to legally stay in the United States. Savage says his mother is from Dominica, and his father is from St.Vincent. He moved to Atlanta on his parents accord, and once their 2006 work visa expired they didn’t renew it . It was up until a few months ago that 21Savage put in for a U Visa. In 2013, 21 Savage was shot six times on his 21st birthday by a rival gang member in an attempted robbery. The attempted robbery unfortunately took the life of his little brother, Johnny “Tay-Man” Abraham-Joseph. U visas are granted to non-citizen victims of crime who intend to cooperate with U.S. authorities. The U nonimmigrant status (U visa) is set aside for victims of certain crimes who have suffered mental or physical abuse and are helpful to law enforcement or government officials in the investigation or prosecution of criminal activity. Kuck says 21 Savage ,and his legal team are committed to securing his release, so the I Am>I Was rapper can move on with his life. He also reminds us of 21’s philanthropic work in the Atlanta community, which includes the 21 Savage Bank Account Campaign. 21 started the campaign in an effort to help improve the financial literacy among lower-income neighborhoods. Some are saying the government is doing this because of 21 Savage’s charity efforts, but the rapper was willing to “corporate “, and give information to help apprehend and stop criminal activity according to USCIS.Gov in return for his visa. Previous 21 Savage Arrested Because Of Rapper Young Nudy! Next Liam Neeson Says He Fantasied About Killing Black Men & Went Looking For One To Kill!